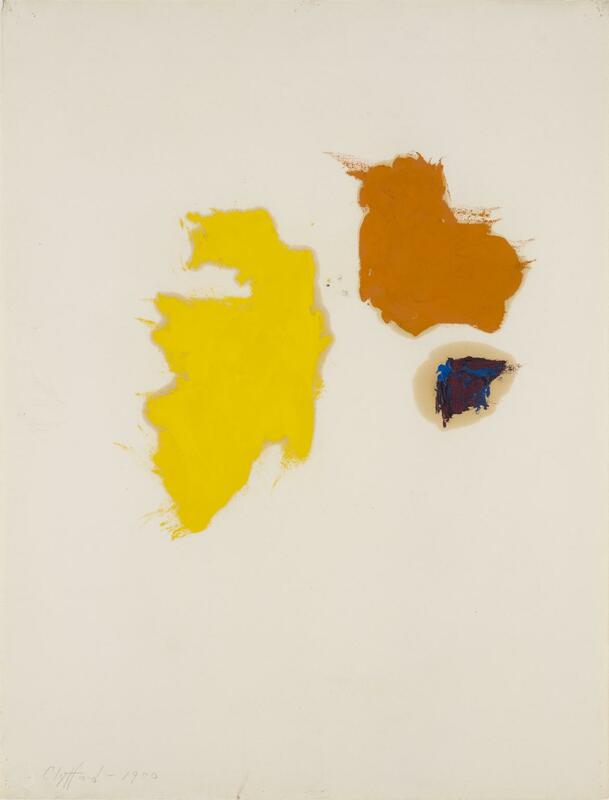 Clyfford Still, PH-466, 1950. Oil on paper, 25 x 19 inches (63.5 x 48.3 cm). Clyfford Still Museum, Denver, CO. Failing, Patricia, David Anfam, Bailey H. Placzek, and Dean Sobel. Clyfford Still: The Works on Paper. Denver: Clyfford Still Museum Research Center, 2016; cited inFailing, Patricia. "Rendering the Sublime." In Clyfford Still: The Works on Paper, 11–28. Denver: Clyfford Still Museum Research Center, 2016, p. 22.